Many unusual and beautiful carols and seasonal instrumentals for Halloween, Fireworks, Christmas and Shrove Tuesday. 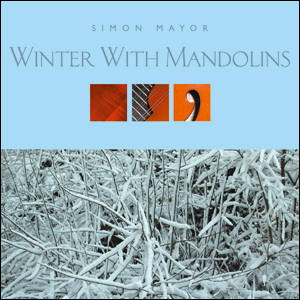 Features Russian style massed mandolins (Christmas Candle), Celtic inspired arrangements (I Saw Three Ships), highly evocative Basque and Provencal carols, music from Handel's 'Royal Fireworks' and Simon's own compositions. Stunning contributions from guests Alan Whetton on soprano saxophone and Brendan Power's harmonica complete this superb album.